If you already have at home a wok that has a cover, then you would probably need to buy only a couple of additional items that are relatively inexpensive, to start steam cooking. 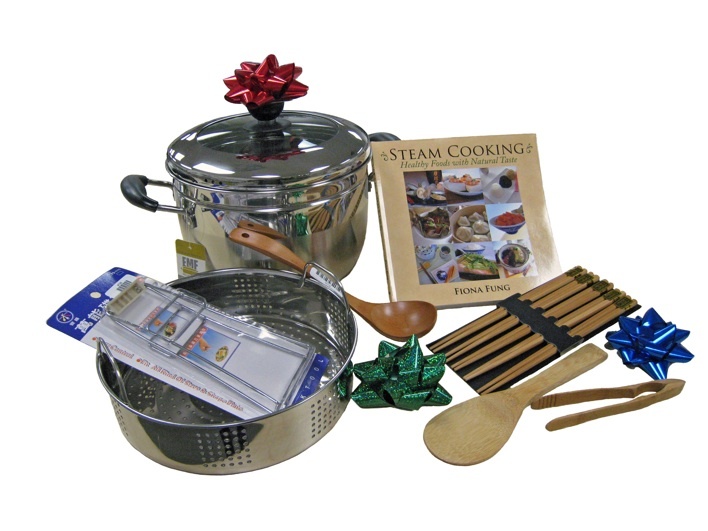 For example, you can buy a stainless steel steam rack for use as a base for the steamed dish; and a plate-pick which will enable you to lift the steamy dish off from the steam rack in a wok of boiling water after cooking. Alternatively, you can buy a bamboo steamer, forget about the plate-pick, and just wear oven mittens when you are ready to take the hot dish out. Some people find the use of a stainless steel steam pot and boiler most helpful. 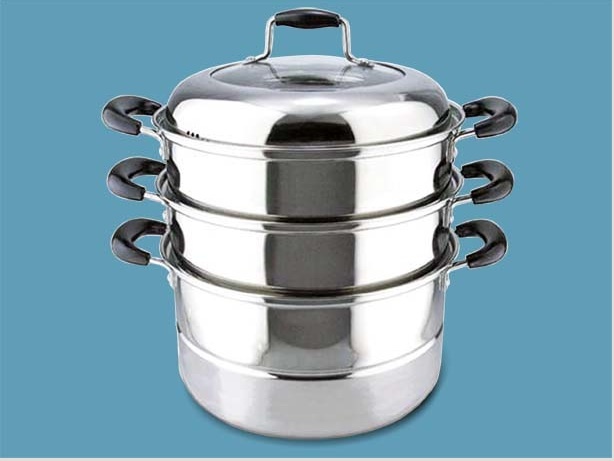 This utensil consists of a stainless steel pot and two or more steamer basket inserts that are stackable on top of one another. Other than that, a donabe earth pot is most popular for making pot rice. 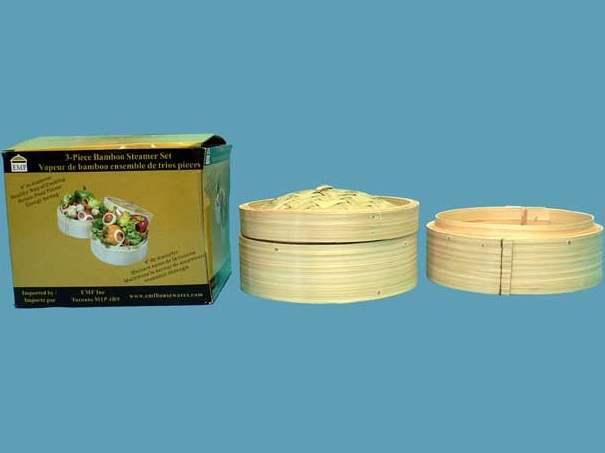 Professional grade bamboo steamer set, stronger and more durable. Each set has two 8-in. (20 cm) dia. Bamboo Steamer Baskets and a matching lid. Each set is shrink-wrapped together (see picture). Diameter: 20 cm / 8 in. This is actually a larger size set of item #6120-8 (see above). Each set has two 10-in. bamboo baskets and a bamboo cover. Shrinkwrap pack. Diameter: 26 cm / 10-1/2 in. This is actually a larger size set of item #6170 (see above). Each set has two bamboo baskets and a bamboo cover. Gift box pack. Each set of 6235-26 Stainless Steel Steam Boiler includes a pot, a stainless steel with see-through glass cover, two S/S steamer basket inserts and a detachable stainless steel steam rack that can sit in the base pot. 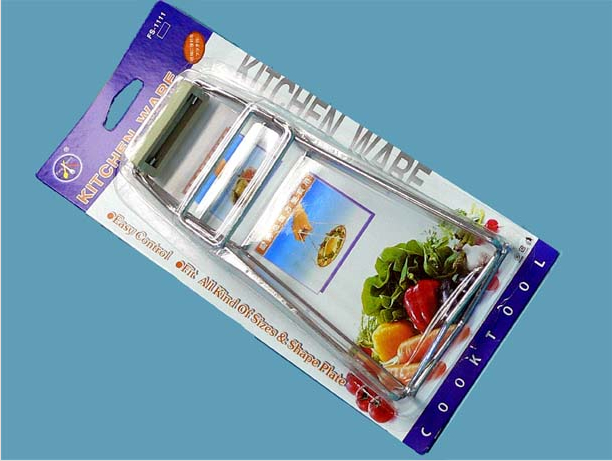 It is perfect for steaming food, especially those which require a long time of cooking: e.g., chunky meat pieces, root vegetables, or sticky rice.The base is 5-3/4 in. tall and can a lot of water for steaming. The steamer baskets are stackable and equipped with handles which make transferring food easier. Box pack. This is a larger size set of the 6235-26 (see picture above). The diameter of this set is 12-3/4 in. Diameter: 30 cm / 12 in. 3-pc 18/8 stainless steel 24 cm. dia. steam boiler set. This set includes a detachable 6 cm (h) stainless steel steamer basket, a stainless steel cover with see-through and temper-resistant glass lid; and a 17 cm (h) cooking pot. 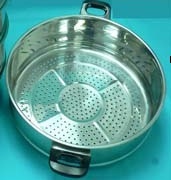 The perforations in the steamer basket are larger enough for steam circulation but small enough to hold small food items such as corns or beans. The base of the cooking pot is reinforced to allow for fast and even heating. 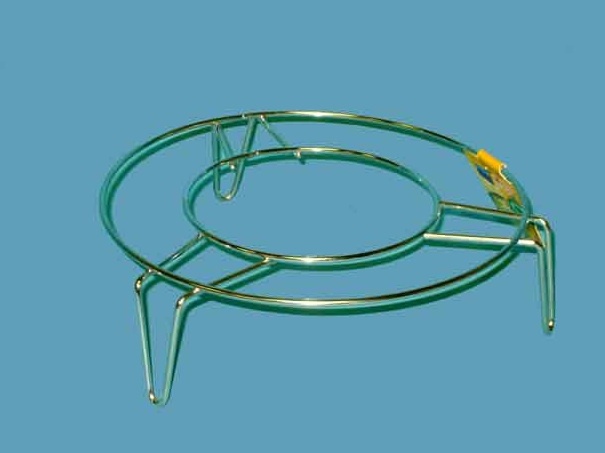 The steamer basket inserts are equipped with handles which make transferring food easier. Box pack. Diameter: 24 cm / 9-1/2 in. This is a smaller size set of the 6225-24 (see picture above). The diameter of this set is 8-3/4 in. Diameter: 22 cm / 8-3/4 in. Steam Boiler (Item #6225-24) - 3-pc 18/8 stainless steel steam boiler set, 24 cm (dia. ), 17 cm (h). This set includes a detachable 6 cm (h) stainless steel steamer basket, a stainless steel cover with see-through and temper-resistant glass lid; and a 17 cm (h) cooking pot. The perforations in the steamer basket are larger enough for steam circulation but small enough to hold small food items such as corns or beans. The base of the cooking pot is reinforced to allow for fast and even heating. Mini Bamboo Tong (Item #3970TS) - 16.5 cm (h). This item may be used to pick up steamed dumplings. 1 qty - #6030-5 - 5 in. / 12.5 cm dia. and 3 in/ 7 cm tall round stainless steel steam rack. 1 qty - #6010-6 - 6 in. / 15 cm dia. and 1 in. 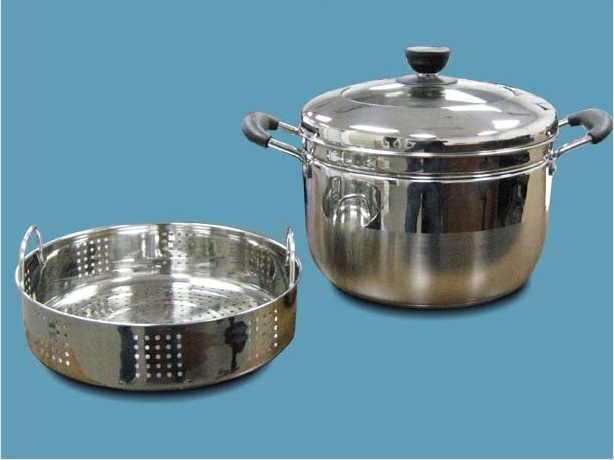 / 2.5 cm tall round stainless steel steam rack. 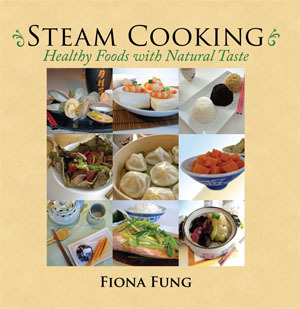 88-page full-colour cookbook with 27 easy to follow family recipes on steam cooking.